A pictorial of high summer around northeastern Kentucky, on the fringes of Appalachia. The middle of July is definitely seen as mid-summer. Another few weeks and the “dog days” arrive, which mean the end of the summer is approaching. It’s been an extraordinarily hot summer here. 90s almost every day and high humidity. HIgher than usual. As I sit at my desk typing, it’s 91 degrees. Tucker, my puppy, refuses to go out in the afternoons. The deck burns his paws, so I have to carry him. I have very few flowers blooming this summer, even though I live in the middle of the forest. It’s just been too hot for them. It’s a slow day here at my house. Tucker and I got in some outdoor time very early this morning. I sat on the deck with him while he played a little and chewed on his bone. I like slow days. I don’t have many of them. They give me time to relax a little. More importantly, they give me time to reflect on my writing. What direction do I want to take with my current writing projects? Are there new projects I want to undertake? I write a little about Appalachia. There is a book some of you may have read called “Hillbilly Elegy.” A bestseller. J.D. Vance is the author. I saw J.D. on television recently. On a news station giving his opinion, which I thought odd. I grew up here and even though this book is a bestseller, I don’t agree with most of it. I have been pondering my own version of Vance’s story of Appalachia. His family migrated from the area. Most of my family stayed here. I don’t like the picture he painted. Have any of you read “Hillbilly Elegy?” What do you think? The photos are the area around where I live. My property has been declared a National Wildlife Habitat. Enjoy! Granny Atkins sat, hidden in the shadows, on the porch of the old house looking at what used to be a busy street in her hometown of Littleton, West Virginia. Drug addiction had killed this town. Littleton wasn’t even a town anymore. It was a death trap. Only a few people her age remained here. The rest had fled or died off. Her generation had worked on the gas wells, but they weren’t pumping much anymore. There was no work. All that remained were a few families trying to raise some children. They didn’t have any money to move away. The teachers taught drug awareness classes in the only remaining school, but when the heroin came to town, it didn’t matter. The kids used it anyway. They got crazy, burned buildings, and overdosed. Littleton was a ghost town now. Soon, she would be a ghost too. Callie knew she shouldn’t have come here. She was glad her cousin, Daniel, was with her. She had been gone from Kentucky, the state where she had grown up and lived most of her adult life, for five years now. It had been at least ten years since she had been to the old homeplace deep in the heart of the eastern part of the state. Deep in the heart of Appalachia. 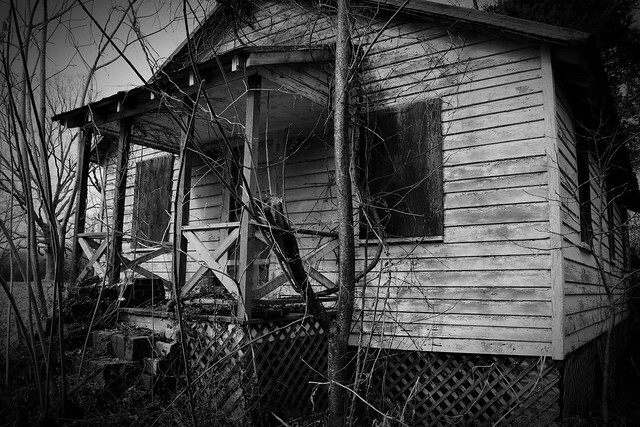 If her uncle’s old house on the farm looked like this, she wasn’t sure she wanted to see the main house, her grandparent’s old home. The home she had spent so much time at as a child and teenager. Eastern Kentucky was decimated. It had been sliding downhill for years. When coal mining started to decline way back in the 1980s, the whole region started to decline. The farming that was secondary to mining also declined when the subsidies on growing tobacco were stopped. There used to be tobacco bases everywhere you looked around here. Her grandparents lived on tobacco and oil money. There wasn’t a tobacco base to be found now. All the tobacco was grown overseas. As Callie and Daniel drove around Eastern Kentucky, where their mothers grew up, she thought of what could be done for these poor people who loved their culture and their way of life but had very little means to support themselves. Coal mining would never come back in any big way. There was a bit more mining going on under President Trump because he had done away with most of the mining regulations. All that did was make an unsafe working environment for the miners and pollute the environment. It would only last until the first big mine disaster. The obvious solution to the job problem in this area is to let the people grow marijuana. At the very least medicinal marijuana and, in Callie’s opinion, recreational marijuana. This was the marijuana capital of the United States anyway. Why not let them grow it legally? It was used medicinally for so many good things. Regulate it if they want. President Trump was trying to do away with laws in the states that allowed legal marijuana purchases, even for medicinal marijuana. Callie and Daniel both thought that was criminal. It was a pain reliever for cancer patients. It could be used as a pain reliever for so many things, even the crippling rheumatoid arthritis like her mother had. Letting these people in Eastern Kentucky grow marijuana legally would be such a good thing for this area. It would bring it back from the desolate state it was in. Eastern Kentucky was known, now, for its high drug use. Mostly prescription drugs but heroin had crept into the picture. Drug use was high because the unemployment rate in many areas approached 40 percent. The people felt hopeless and helpless. Give them a cash crop to grow in the valleys between these mountains and make them feel a useful member of society. The drug problem, in Callie’s opinion, would drop. Hemp was another cash crop that these people could grow. It had been grown on an experimental basis on the University of Kentucky farm. It could be used to make clothes and other products. Trump had promised to bring back manufacturing to the United States. If he kept that promise, hemp could be used in manufacturing. Just like the Eastern Kentucky area was a prime area for growing marijuana, it was also a prime area for growing hemp. Before Trump became President, there was progress being made on the legalization of marijuana and hemp production that would have helped Appalachia so much. Any progress made had been rolled back under his administration. He seemed to want to take us back to the days of his youth. The people she knew were in one camp or another. Either they were still Trump supporters or they were scared to death he was leading the country straight into Fascism. She was in the latter camp as was Daniel. People seemed to be trying to go on with their lives. That’s why she and Daniel were taking this tour of the land where their mother’s grew up. The only relatives they had here now were very distant cousins who they didn’t even know. So they were visiting the places familiar to them, taking stock of the changes, probably for the last time. Callie had come to Kentucky for a visit and she and Daniel had decided to do this on a whim. There was her grandfather’s house! Just as rundown as the shack her uncle used to live in. She could see the oil wells behind it in the same place they were when she was a child. They were pumping. She had noticed that her oil royalties had gotten a little better recently, but she was sure it was a short-term thing. She and Daniel and the rest of the cousins feared the wells were just about dry. Oil, health care, and education were just about the only jobs left in this area. A few oil workers were needed as were primary and secondary teachers. A lot of health care workers were needed but they were hard to attract to the area unless they had family here. There was a lot of illness. President Trump’s immigration policy had swept all the foreign physicians out of Eastern Kentucky and they had been the backbone of the health care system. As Callie and Daniel started home, depression hovered over them like a cloud. It used to be so beautiful here. If the federal government would provide the right kind of help, it could be again. As long as Donald Trump, or anyone like him was President, they knew it would never happen. Callie knew she would go back to her home in Florida now and would never look back. She had worried about this area and looked back too long. Time to move on.